Growing in the 90's or in any other past decade makes you understand the world you live in. Our addiction to Tv Shows has an explanation, certainly because this obsession has started in our childhood. At that time it was Friends, Beverly Hills 90210, Melrose Place or My So-Called Life.... not to mention the ones we used to watch as teenagers (now we are ashamed of the number of hours we've spent in front of a screen!). 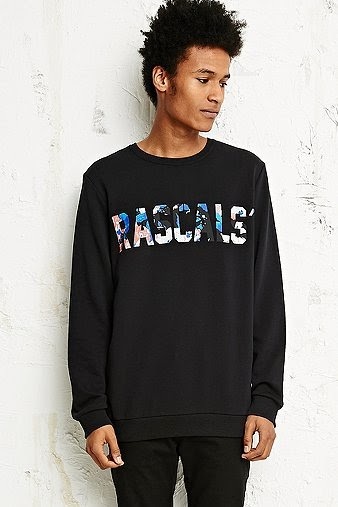 Childhood memories have a kind of influence on many designers and the Danish label Rascals' refers to 90's Tv Shows for their SS14 collection such as Karate Kids or The Fresh Prince Of Bel-Air, definitely their childhood favourite programs. "The collection is a fusion of our love for the 90's athletic wear and our rootedness in the streets where we live our lives. 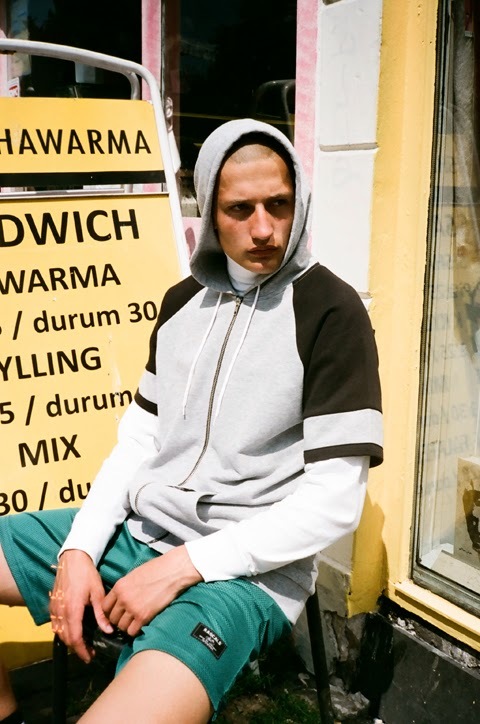 Expressing Rascals' signature interpretations of classic sports styles, the collection aims to merge sportwear with Rascals' streetwear aesthetic." 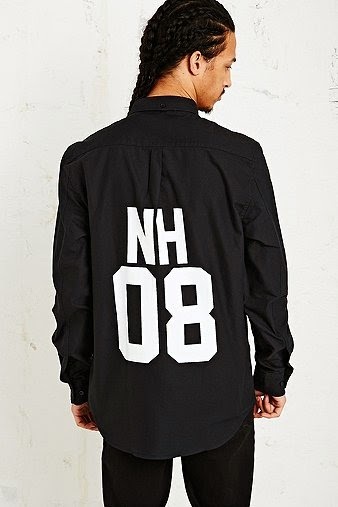 This label has been established since 2008 including this year with the 'N.H08'( No History) becoming Rascals' logo which is a kind of signature displayed on jackets, tops, shorts and shirts. The attitude is definitely sporty as the collection includes fabrics such as jerseys, meshs and fleeces. Apart from the branding pieces we are obsessed with the all-over flower power print on the mesh shirts, shorts, sweaters and t-shirts. The revival of the 90's in this collection got a lot of romance. It's not another stereotyped version of the 90's but a modern menswear wardrobe. 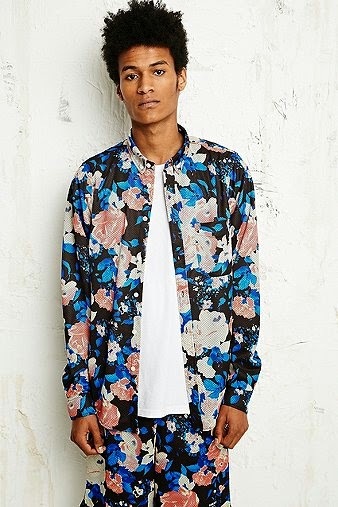 The Rascals' design team has succeeded in capturing something unique and sensitive and in translating this feeling in their SS14 collection as we want to grab all these flower power pieces! 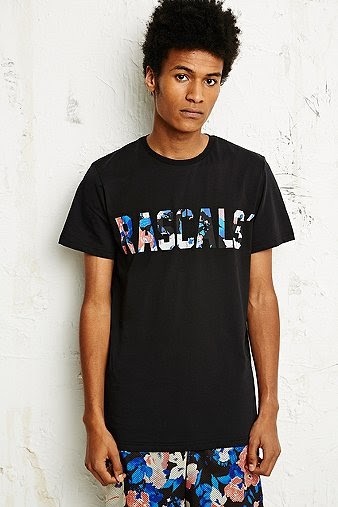 The lookbook comes from Rascals' website. 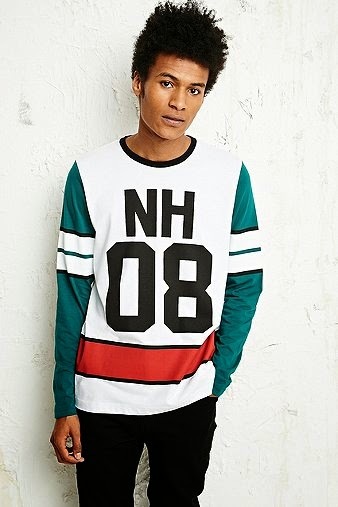 The SS14 collection is available on Urban Outfitters.